Describes the current status of US medical waste management and disposal practices, ranging from handling the waste as nonhazardous municipal solid waste to strict segregation, packaging, labeling, and tracking. Treatment techniques include steam sterilization, incineration, recycling and reuse methods. 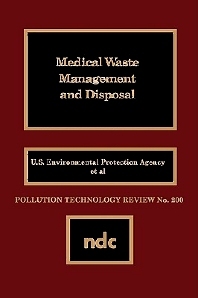 Also covers EPA studies characterizing types, numbers and sizes of waste generators and wastes generated. Medical waste disposal firms and handlers.